Meet Gregor MacGregor, a Scottish military officer, adventurer and hero of Venezuela’s Independence War, who joined the fight against Spain in 1811 and quickly became a general of the Venezuelan Army by 1812, marrying a cousin of Simón Bolívar. Later MacGregor fought in Colombia, the Caribbean and Central America. 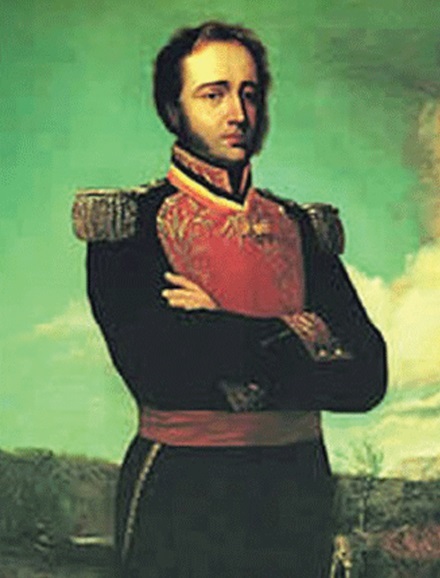 In 1820 MacGregor was named to the Constituent Congress in Cucuta, but rather than go there, he went to attack the Spanish city of Portobelo in Panama, failing in the attempt. From there, MacGregor went to Nicaragua, where he met the Poyais (Payas in Spanish) indians and signed with them a treaty to colonize their territory. 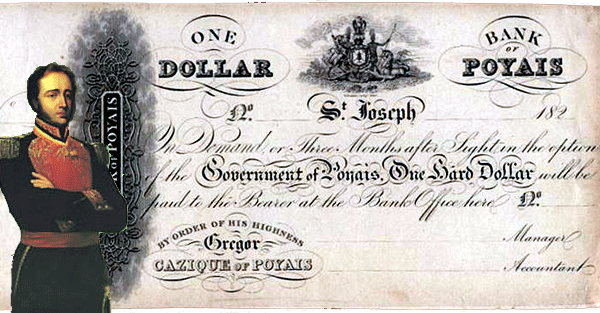 And here is where his life became interesting and he pioneered the now long tradition of fraud related to Venezuela: MacGregor moved to Great Britain in 1820 and claimed to be the Cacique and Prince of Poyais, a country that did not even exist. The country was supposedly located in the Bay of Honduras and reportedly King Frederic Augustus I of the Mosquito Shore and Nation had bestowed the land to him. In reality, the land supposedly bestowed on him by King Frederic had been plied away from him with alcohol and consisted of four run down buildings, which were surrounded by swamps and there were no riches whatsoever. But MacGregor convinced everyone that his fake country of Poyais was full of riches.To help his cause, he had a book Published called “Sketch of the Mosquito Shore, including the Territory of Poyais”, which you can read in google archives, supposedly written by a certain Captain Thomas Strangeways. The book described the wonderful and rich country of Poyais, rich in metals, wood, indigo, animals, trees, offering the enterprising European a unique opportunity for investment and work. The book claimed remarkable opportunities that could turn an investment of 150 pounds into 1,000 in one year or recoup your investment in a coffee plantation in only five years. in the option of the Government of Poyais. He also sold land at one schilling per acre in cash, sold in perfectly square plots of 540 acres. MacGregor was so daring, that he even sent seven boats of settlers to Poyais, knowing that he would be found out for sure. When the few settlers that survived came back in 1823, London papers reported the fraud and MacGregor fled to France. And in France he simply started again, reportedly raising another 1.1 million pounds in new money. He was briefly jailed in France, but acquitted. MacGregor did not even try to pay any of the investors, he simply pocketed the money and eventually moved to the French countryside to enjoy life, while continuing to try to peddle land in the country of Poyais. As with so many other Venezuelan crooks and fraudsters, MacGregor suffered no moral punishment from Venezuela, welcomed back with open arms and buried with honors. Thus was born a tradition that has continued from Poyais to Andorra and from the time of our war of Independence to that of Chavismo. The issuance of the new decree on travel allowances or quotas demonstrated how upside down things are in Venezuela and the damage that Chavismo has done to the way the population population thinks. We already know or knew beforehand how incapable the Government is and this decision once again exemplifies it: Only fifty days ago the Minister of Finance said the previous policy would remain in place for the full year and the decree is a mixture of inconsistencies and bizarre facts. But the short sighted and self-centered reaction by too many Venezuelans is what is really a sad commentary on how Venezuelans think today and how much Chavismo has screwed up their brains in the last 16 years. How people can complain about a reduction in their travel quotas, in a country with shortages of food and medicines, where hospitals can’t provide basic services and care and is a tribute to how successful Chavismo has been in turning most Venezuelans into rent-seeking, self-serving and egoistical citizens who only think about themselves and are no longer able to distinguish the trees from the forest. 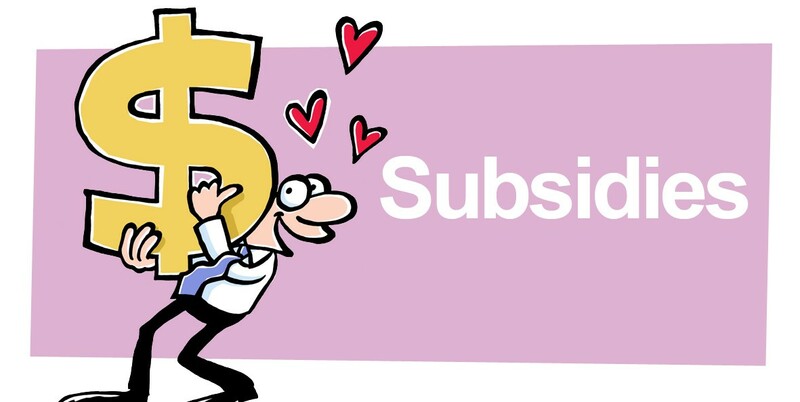 Touch anything, but don’t touch my subsidy! But the problem is not the quotas, there is no basic right to provide citizens with the ability to travel abroad. Least of all, at a subsidized prize. The problem is the controls. Not only that they exist, but that there is no free or open market to which people can go and buy foreign currency to travel, if they can afford it. The problem is that a time of falling oil prices and facing a deficit of US$ 25-30 billion, the Government was ready to use US$ 4 billion in 2015 to subsidize travel abroad for the more affluent sectors of the population. The most absurd part is that this was reduced to about US$ 2 billion, still an incongrouos amount, given the lack of foreign currency and the crisis facing the country. This is still only about 10% of the gasoline subsidy, another subsidy that is also skewed to favor the wealthier part of the population and which should also be reduced dramatically. Of course, it is the Government that is to be blamed for all of this, but the travel allowance is as much of a way to buy people’s sympathy as cheap food, cheap gas, cheap electricity and all the other crazy subsidies in place in the country. But via this decree, the Government also shows how incompetent and incapable it is. To start with, nothing has changed, macro-economically speaking, since the beginning of the year. If anything, oil is slightly higher, but the deficit still looms large. How the Government thought or believed that it could get away with using US$ 4 billion for travel simply boggles the mind. You would think if the Government made a budget for foreign currency at the beginning of the year, the US$ 4 billion for travel would have stood out dramatically on that short list if you ordered foreign currency expenses by size. But it is also part of the same absurdity implied by the fact that the Government is keeping the Bs. 6.3 per US$ rate for 70% of imports (for now) or the Bs. 12 per US$ Sicad rate for other things, despite the fact that there has been no Sicad auction yet since the “new” foreign exchange system was announced. This is as unsustainable as most policies by this Government. In fact, when it comes down to it, the Government can not even afford the US$ 2 billion for travel allowances, what it should have done is eliminate the travel allowances altogether and use that amount in a free floating market, or to feed it to Simadi, which has been a gigantic failure so far. Because the first effect of the new decree is to push people over to the black market to either buy dollars for travel or complete their needs. This will only push that rate higher, which will be followed by even more inflation. A losing game in the end. And the decree itself is bizarre and full of strange biases. Like, what is the rational for giving people almost three times more for a stay in Europe, over a stay in Mexico or the US? Is life really that much more expensive in Europe at a time of the euro going rapidly towards parity with the US$? And since the amounts are obviously insifficient fr a stay of more than eight days in the US, isn’t the Government simply acknowledging that this is a subsidy? Or what is the rationale for eliminating the cash advance? Or the amount that can be withdrawn via an ATM, which was reduced to only 10% of the travel quota? Or the rationale of leaving the cash advance only for people underage? Why do they need cash and the adults do not? And without noticing, the Government via this decree, is forcing people to open accounts and obtain credit cards in state-owned banks by banning private banks from participating in this business. Another effort to add controls and screw the private sector that goes unnoticed and nobody complains about. This is in the end should be what scares the people the most, how with one swipe, the Government creates a system in which the private sector can not participate and which forces anyone wanting to travel to open an account and obtain a credit card with a state-owned bank. Uncle Nico will be watching you! But people did not seem to notice these details. All they saw was their privileges reduced, their perks limited, even if it was absurd to keep the current quota allowances. But in the end, this subsidy will be paid over the coming years by all Venezuelans. In fact, we are all paying for the absurd travel subsidies of the last eleven years. In the end, the reduction of the allowances exposes how privileges and subsidies distort people’s thinking, leading them to believe they are entitled to absurd rights. Which only indicates how tough the road back will be to a Venezuela in which priorities are set in logical and reasonable fashion, with subsidies aimed only at the weakest of the population.